This beautiful little white cotton blend baby gown is made by Rosalina, a leading designer of classic children's clothing. 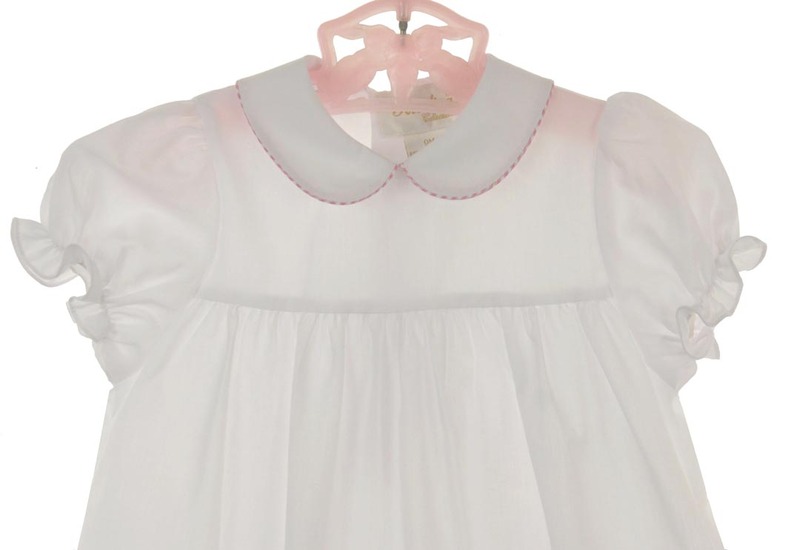 It features soft pleats falling from the high yoke, with a Peter Pan collar and short sleeve cuffs edged with pink striped piping. It closes in the back with two little buttons. The perfect take home gown for your baby girl! 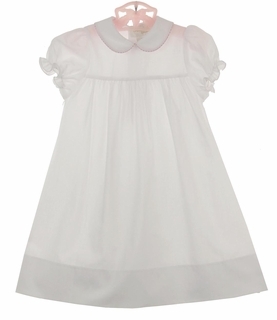 Note: This darling little gown is also available with blue checked trim or red checked trim. See below.